A man listed as being homeless has been indicted for murder. Nathan L. Stiltner, 36, has been indicted for aggravated murder, murder, felonious assault, having weapons while under disability. Stiltner was arrested and charged with the shooting death of Douglas Thackston, 37, on Aug. 4. The shooting occurred at 1923 Thomas Ave., Portsmouth, better known as the Wayne Hills Apartment complex. Stiltner fled the scene and was apprehended the following day, according to reports from the Portsmouth Police Department. According to reports, Thackston died from a single gunshot wound to the abdomen. COREY L. DYER, 26, Franklin Furnace: possession of drugs, possession of heroin, possessing drug abuse instruments. 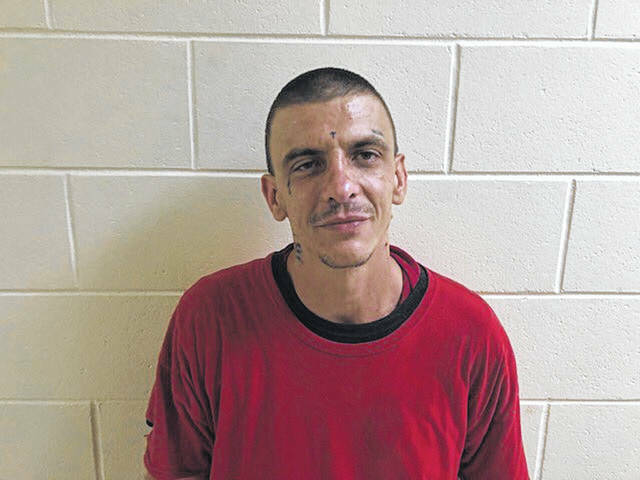 CHRISTOPHER COMER, 28, Wellston: 2 counts of illegal conveyance of drugs of abuse onto grounds of a specified governmental facility, aggravated trafficking in drugs, trafficking in drugs, aggravated possession of drugs, possession of drugs. ASHLEE K.J. ROBBINS, 32, Columbus: trafficking in cocaine, possession of cocaine. ANGELA SALSGIVER, 48, Vanceburg, Ky.: aggravated possession of drugs. DUSTIN PINKERMAN, 37, Latham: aggravated possession of drugs, driving under suspension, OVI. LORI ANN GROOMS, 38, Minford: possessing criminal tools, 3 counts of trafficking in marijuana. JAMES E. MUSICK, 56, Portsmouth: possessing criminal tools, 2 counts of trafficking in marijuana.